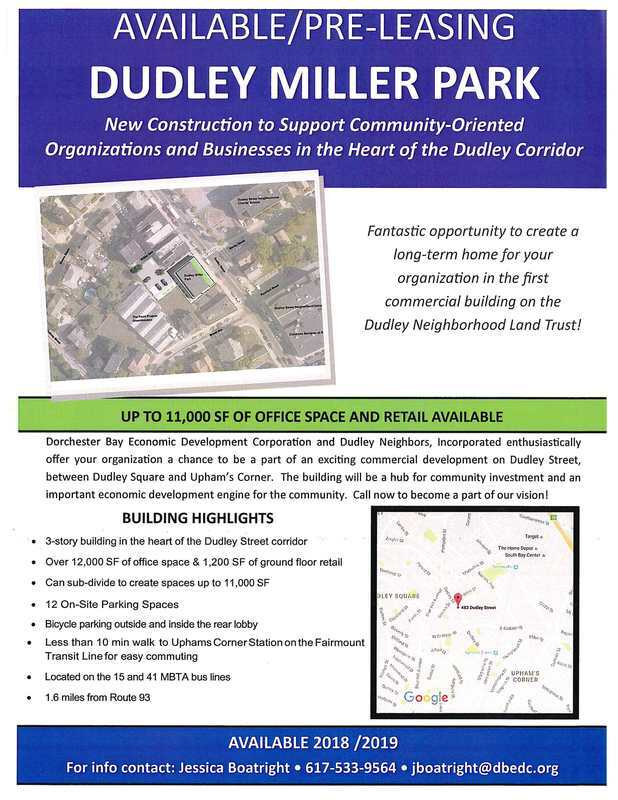 Dudley Miller Park - Dudley Neighbors, Inc.
Dudley Neighbors Incorporated is excited to work with a developer that will add to the community building vision of our land trust that's been active for over 25 years. Below you'll find the Dudley Miller Park RFP and the Phase I Environmental Report, totaling to 4 PDF downloads. All inquiries should be electronically made to Tony Hernandez at thernandez@dsni.org and Jennifer Gilbert at jgilbert@vivaconsult.com. Update 6/6/2016 - Questions submitted by the deadline of May 27th regarding the Dudley Miller Park RFP are available below with responses.